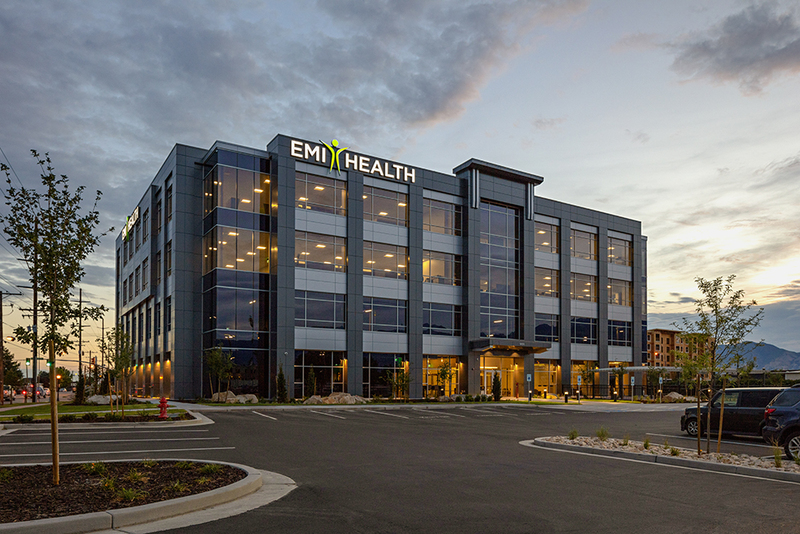 Health and well-being are at the forefront of EMI Health’s business model and R&O and Think Architecture partnered with them to design and construct a building that reflects this focus. 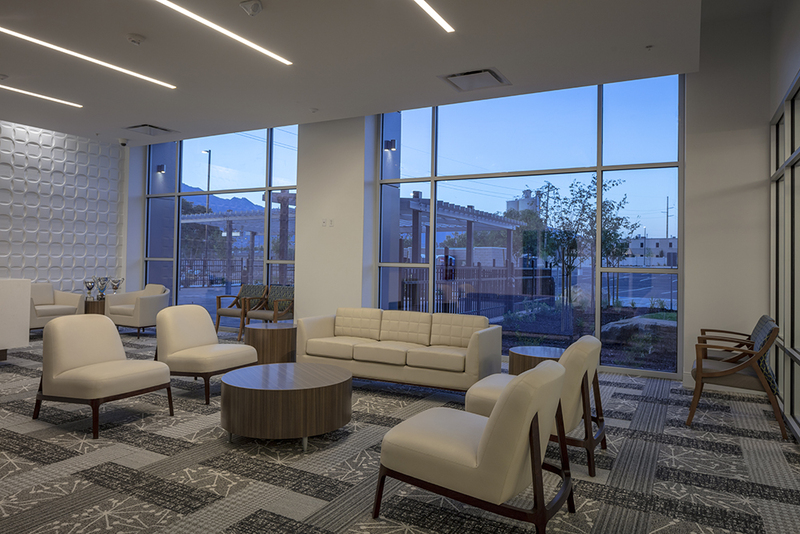 In addition to offices, open cubicles and conference rooms, the four-story building features a gym, yoga studio, large partitioned training center, cafeteria with outdoor patio seating, and leasable tenant space with street front access. 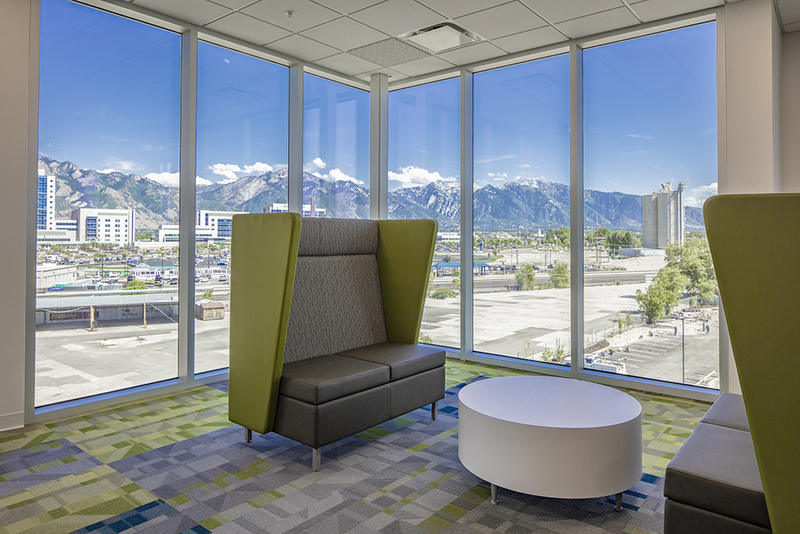 The building’s interior design draws on the character of the Salt Lake City area by using bright colored, linear street map graphics and cityscapes on walls in lieu of traditional wall coverings. Texture is delivered through out the building via wood panels and planks and woven-pattern Koroseal panels. 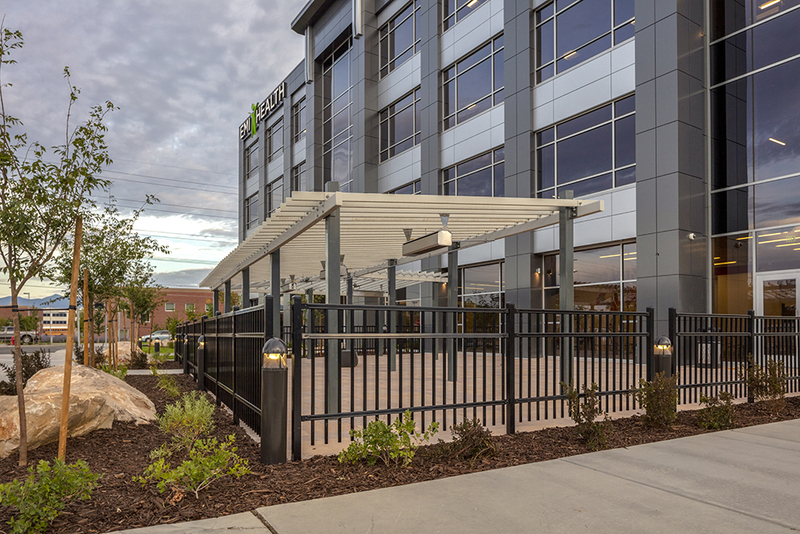 The project posed several challenges, as the site was adjacent to rail lines, power lines and new construction on two sides. 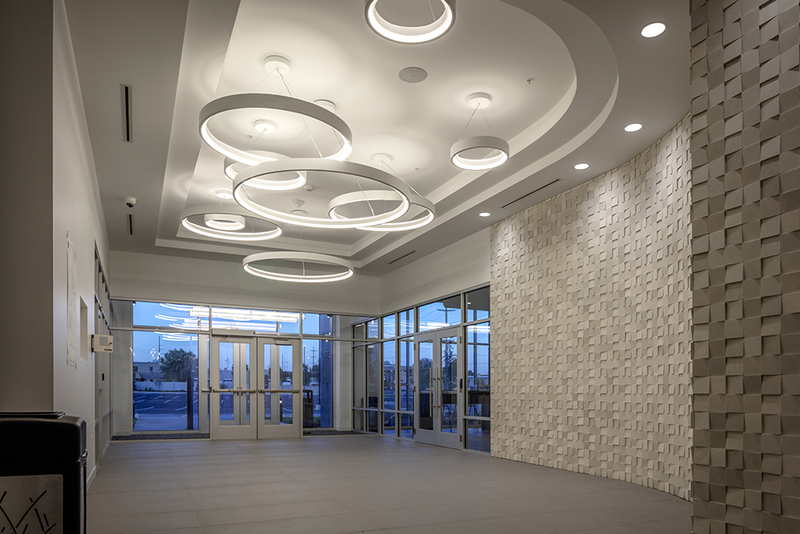 Careful planning during preconstruction coupled with detail-oriented job site management kept the project on schedule and on budget.